Monday December 9th on the feast of St. Juan Diego, Fr. 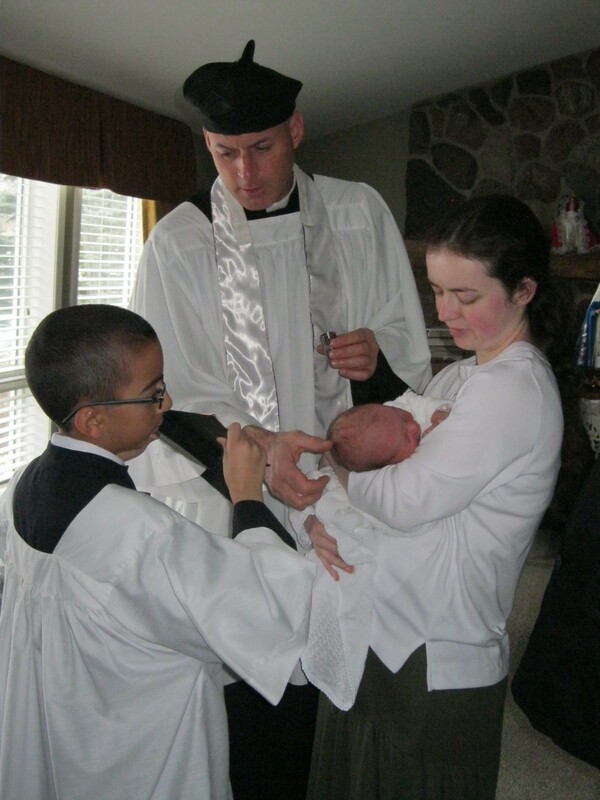 David Hewko baptized the infant son of James & Christine Saul. The Godfather was Tony La Rosa and the server was Joseph La Rosa. 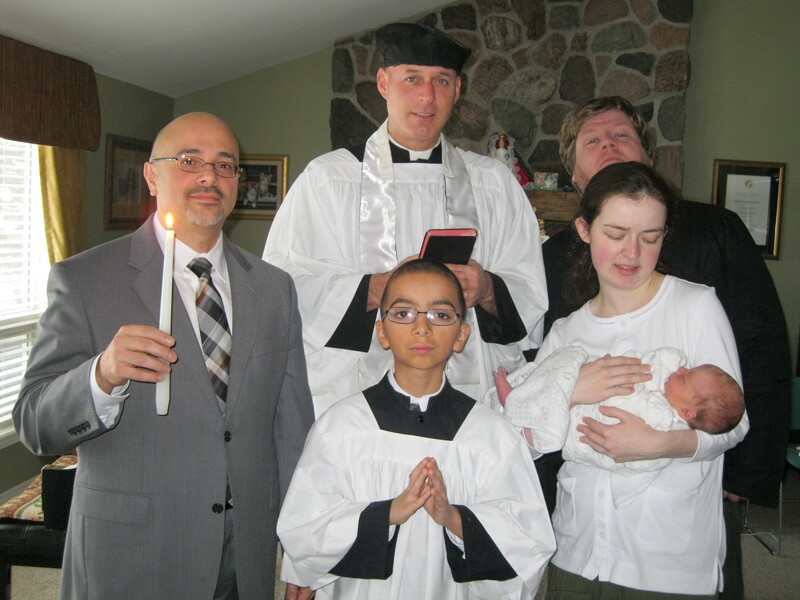 With this baptism, the Toronto Resistance has gained another soul. Thank you. However, the baby is not mine. 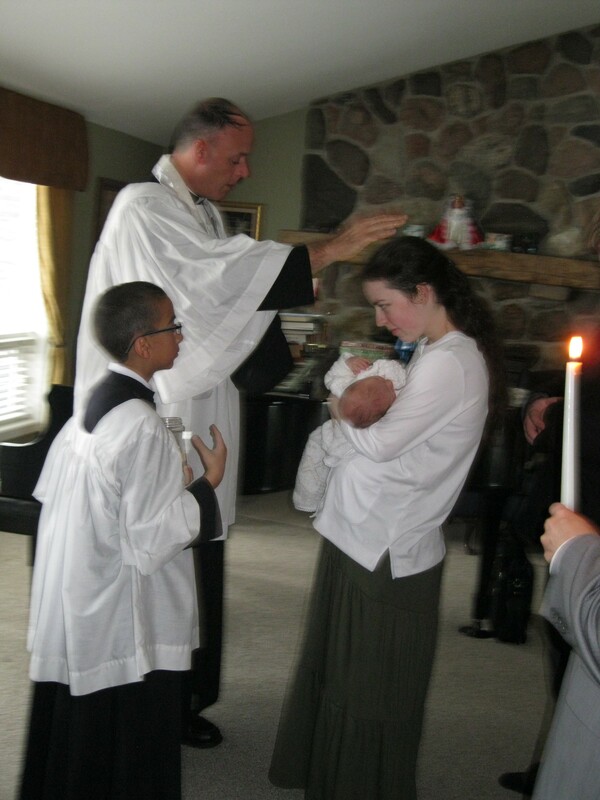 He is the son of James and Christine (see last picture right hand side). I am on the left hand side in the last picture. Joseph, the server, is my son. Yes Tony, I apologise most sincerely for the mistake. Congratulations Christine and James! Your baby is beautiful (of course)! I’m sure our Lady will be a special protectress to him, too, born on the vigil of the Immaculate Conception. God bless! Health and happiness to all. No problem. Thank you for all the good work you do for the Resistance. God bless you and yours. Thank you, Kathleen, for your good wishes. Congratulations and greetings to you all from here in Ireland.